All of my friends were over for my birthday party in 4th grade. We hadn’t cut the cake yet, but I was hungry. Instead of waiting, I snuck into the pantry and ate four Pop Tarts. Being a kid I did not realize it, but looking back now, I know that was when my problem started and I was just a kid. Slowly over the years I developed bad habits of binge eating in private because I didn’t want anyone to judge me or see how much I was eating. I was always bigger than most of my friends, but never fat. In college, this was when the weight really started to pile on. I was so busy with school and work that when I came home at night all I wanted to do was watch TV and eat. It didn’t matter what I was putting in my mouth or how much, this was my way of relaxing. I was very aware I had a problem, but my love for food and eating just one more (which most times was actually three more) always seemed to outweigh my desire to be thin. I was depressed and eating was my comfort. All throughout high school and college I made excuses not to do things if it required wearing a bathing suit. I can recall several camping trips, days at the lake, water parks, and vacations I skipped out on because I was so uncomfortable in my own skin and could not bear the idea of being in public in a swim suit! I became good at making excuses. I always felt bad for myself when my friends were out doing something fun and I wasn’t there because I was overweight and embarrassed. It was Christmas 2011 when I was tagged by my family in a bunch of pictures on Facebook. I untagged every single picture because I looked so big! I usually would hide in the back of pictures and pose certain ways to make myself look thinner, but these candid photos told the truth. This was my wake-up call! 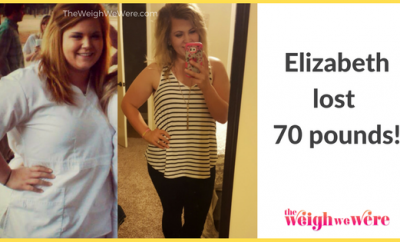 I was forced to reflect on how I got myself there and why I had not done anything to prevent my weight spiraling out of control. When people complimented me, why was it always just about my “pretty face”? Why was it that I had never been asked out on a date? I was sick of hiding, sick of making excuses, sick of sucking in my gut. It was time to make a change and this time was different because my motivation was strictly for me, not to appease the people who always suggested that I should lose some weight, I wanted to get healthy and start living my life like God intended. RELATED: How I Lost Weight: Marnita Loses An Amazing 172 Pounds Over The Age Of 50! I went onto Google and started scouring the web for different weight loss tips. I steered clear of any “magic pills” or “lose 20 pounds in 1 week” promises because I had already tried all of those and they did not work. I knew this process was going to be slow and the only way to lose the weight and keep it off would be from good ol’ diet and exercising and forming habits that I could sustain for a lifetime. The best tips I found online were to drink a ton of water (I made it my goal to drink one gallon a day) and to not eat anything 2-3 hours before you went to bed. I implemented those tips and they helped tremendously. Within the first week! I lost almost 5 pounds the first week and my pants were not tight anymore. After a month, I was down 12 pounds and my pants were now getting too big! When I first started my journey, I still had to give up time with my friends. This time, however, was different. Now I was making excuses to not go out to restaurants because I did not want to face the temptations or because I had missed my workout that day and needed to get it in. I changed my mindset and made weight loss and health my number one priority. I didn’t want to lose my momentum and I knew this would take discipline and sacrifice and once I reached my goal and formed healthy habits, I wouldn’t have to make any more excuses or skip out on things. Yes. Losing weight is hard! There were weeks when the scale hardly budged (or even went up a little! ), but then there were weeks when I would lose 5 pounds! To help me stay on track, I wrote my “Why” on a few notecards. My “Why” was all of the reasons I had started my journey. I put one on my night stand, one in my purse, and one on the fridge so I could be reminded constantly why I was doing this and motivated to stay on track. Whenever I was tempted, I would pull out my notecard and read over it – it definitely made me rethink a few decisions. I did hit a few plateaus on my weight loss journey. It took me a while to figure out what was causing it, but once I did, my plateaus were easy to break through. Usually when I hit one, it was either because my body was used to the workouts I was doing or to the foods I was eating. To break through, I mixed up my workouts and the types of foods I ate. For example, I would walk or do a workout DVD instead of jogging and I would go from eating oatmeal with a banana for breakfast to eating eggs and spinach for breakfast. 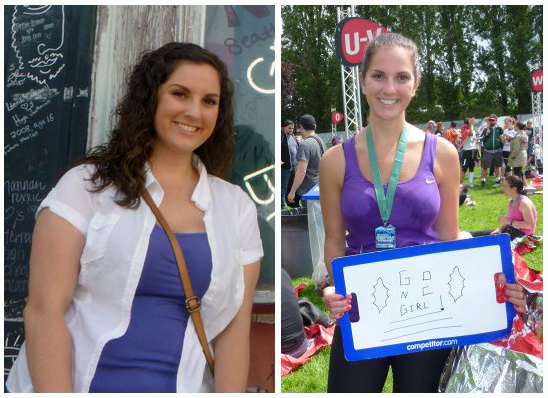 I started my journey on January 1, 2012 and hit my goal weight on June 17, 2012. Overall it took almost 7 months to get to my goal. One day after two months of working out in my living room to Hip Hop Abs and Jillian Michael’s 30 Day Shred I decided to test myself. I went to the track by my house and decided I would run until I got tired. I had never been able to run a mile in my life, but that day I easily ran two. A few months later, I completed a half marathon! I have learned to shop the perimeter of the grocery store. Now, I mainly eat foods with just one ingredient (like blueberries, eggs, lettuce, etc.). It is surprising how many clean recipes there are that taste better than fast food or prepackaged meals. Before, I would eat whatever was most convenient because I was so busy and this came in the form of junk food and fast food. Meal planning and prepping has made the biggest difference because if you take a day to plan and prep food for the week, your healthy food becomes just as quick and easy. When I was heavier I hated walking places and never exercised. I got winded going up a flight of stairs. Now, I make it a point to exercise at least five days a week for 30 minutes each day and I try to sneak in extra steps wherever I can; whether it is taking the stairs instead of the elevator or parking in the farthest spot away from the grocery store. Drink water. Drink water. Drink water. Tell people that you are on a weight loss journey and trying to be healthier and get fit. The more people you tell the better! If everyone knows what you are doing, it will help hold you accountable. Write your “Why” down on a note card and keep it with you at all times. Make it a habit to meal plan! Take pictures to document your journey. When you feel like you are in a slump, take a picture of yourself and compare it to your first, you will be amazed at how far you have already come and be motivated to continue. Not to mention, the scale is sometimes a liar. ← Previous Story Taking Control of My Health! wow! I am almost 20lbs overweight and this really inspired me. Thank you so much. Love this so much! She is amazing. The “Why Card”…amazing idea! I have a board at work…but to actually carry something around to remind me?? Awesomeness. Will definitely do it!! Mine is the same exact story badically. 196 now 166. Trying to hit 135…. I eat too much after 8pm. Great job, and I know water is very important. A person is never alone- a parallel story is always out there. 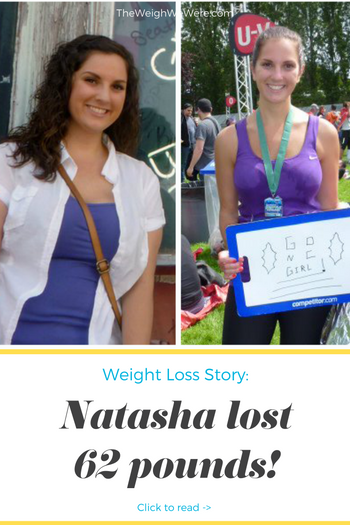 Thank- you for an inspirational success story, and congrats on your weight loss love story!! Truly inspiring. Binge eating is one of my biggest issues. The card idea sounds like it might really work! Great job Natasha!! dear friend, how are you nowadays? Your story has inspired me! 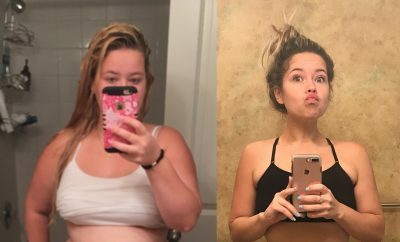 You look amazing , congrats I have lost 65-70 pounds maybe a little more still on my journey .love reading all these their a great motivation and inspritation as well Thank you ! Fantastic ! You look great ! Thx for sharing tips !